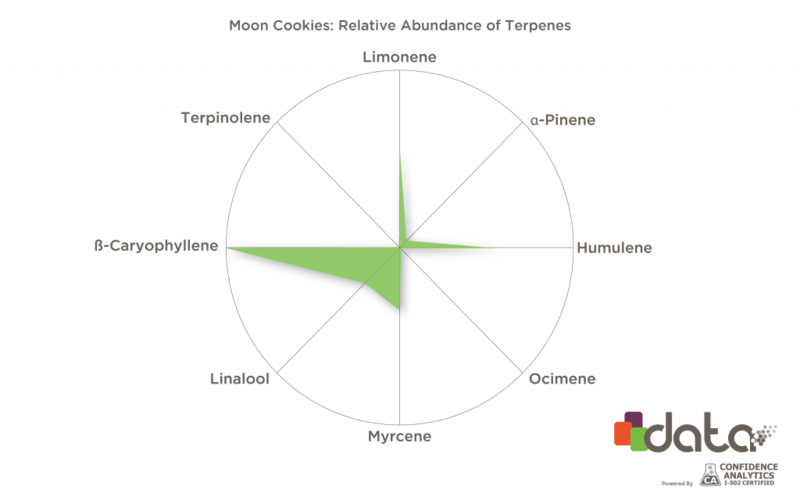 Part 1, Which Terpenes Are in ‘Cookies’ Strains? Cookies, also known as GSC, stands among some of the most sought-after cannabis genetics ever created. While it’s hard to ignore the strain’s beautiful appearance, qualities like its exceptional potency and the rich, compelling flavors are really what set Cookies apart from other strains. Need More Cookies in Your Jar? Like most popular genetics, Cookies has been used as breeding stock for exciting new hybrids like Blue Cookies, Wookies, Wedding Cake, and many others that build onto the enticing characteristics of Cookies. With many of these offshoot varieties taking center stage on dispensary menus, one might start to wonder what makes them different. They all tend to pack high levels of THC—but do they differ in aroma, flavor, and terpene profile? 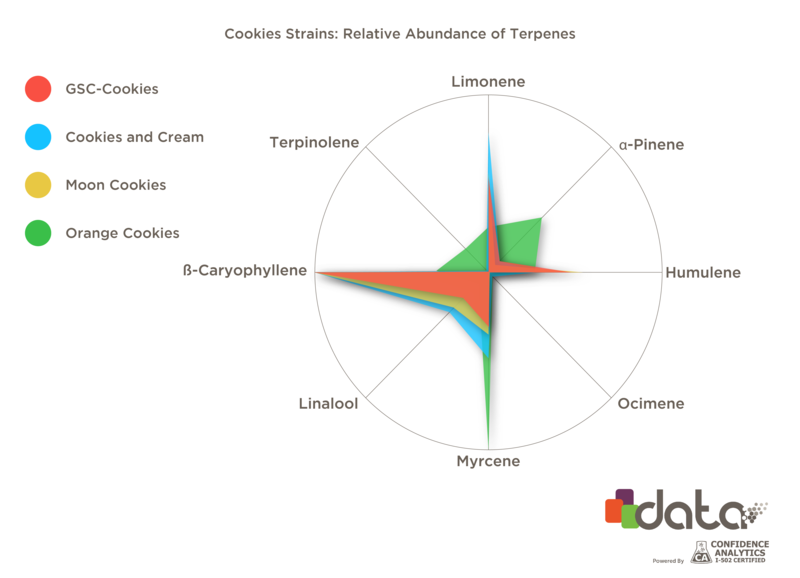 To gain some insight, I dug through terpene data on four widely-available Cookie hybrids to see what makes them similar—or unique. By layering the terpene data of GSC, Cookies and Cream, Moon Cookies, and Orange Cookies on the same plot, the differences begin to jump out. It’s immediately apparent that Orange Cookies presents the most diverse terpene profile in comparison with the other three strains we’ve pulled from its family tree. GSC, Cookies and Cream, and Moon Cookies, on the other hand, share similar levels of their most abundant terpenes with only subtle differences. Let’s dive into each of these strains individually and to see how breeding has influenced the aroma, flavors, and effects of these strains. With the often debated parentage featuring OG Kush and Durban Poison, GSC shows a tendency to express high levels of beta-caryophyllene with a complex mix of secondary and tertiary terpenes like limonene, humulene, myrcene, and linalool all working together to create the signature earthy, floral, doughy flavors Cookies is known for. The unparalleled flavors of GSC lead you down a path of happy euphoria with calming physical relaxation that pairs well with most moods and activities. Moon Cookies reinforces the standout traits of its parent by inbreeding GSC with itself. 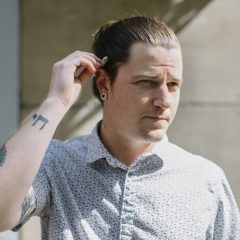 As such, the terpene profiles for both strains look nearly identical, and in my own personal experience, the flavors walk the same path as well. This breeding project emphasizes the linalool profile while turning down the relative abundance of pinene. The earthy, spiced, and refreshing minty flavors of Moon Cookies lead into an euphoric wave over the body and mind while creative focus washes in. Bred by Exotic Genetix, Cookies and Cream was bred with an unknown GSC phenotype by crossing it with the citrus-forward Starfighter to create a complex, creamy smoke. An increased volume of linalool and pinene with a hint of ocimene in the mix transforms the flavor of Cookies and Cream into a sweet, earthy mix accented by vanilla notes. Its experience is best described as relaxing with euphoric bliss melting over the mind. Finally we come to Orange Cookies, a strain worth diving a little deeper on. This Orange Juice x GSC cross bred by Franchise Genetics carries the most unique terpene profile compared to the other Cookies family strains we’ve looked at. So what’s different? Well most noticeably Orange Cookies is a myrcene-dominant strain while the classic Cookies cut highlights caryophyllene as its primary terpene. 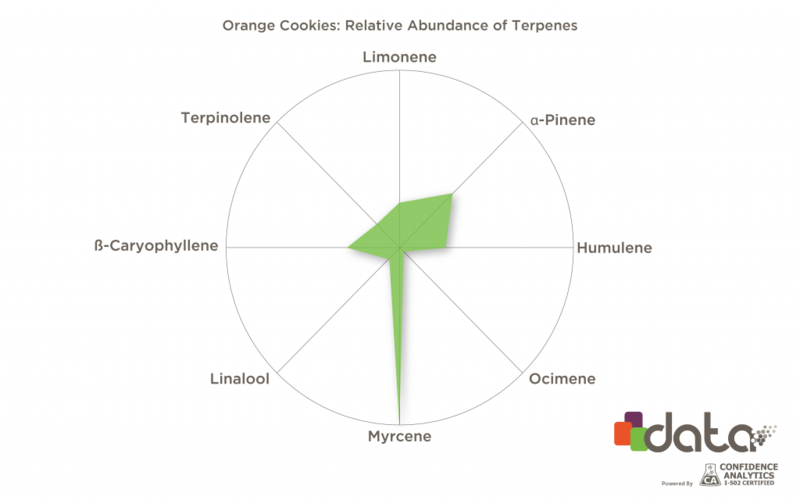 Where GSC is influenced by limonene as its secondary terpene, Orange Cookies leans on the fresh flavors created by pinene in combination with the complex mix of humulene, caryophyllene, limonene, and terpinolene in roughly even proportions. The resulting flavor from this entourage of terpenes is a bright citrus sweetness that mingles with the earthy vibes true to its GSC lineage. Orange Cookies leaves you with a happy, euphoric headspace and relaxed sedation that calms tension and stress. Interesting all research by steep hill labs shows myrcene equal heavy indica and limolene is heavy sativa effect. Terpenes definitely super important. I like to see terpene testing right there with THC percent and pesticide testing in products. 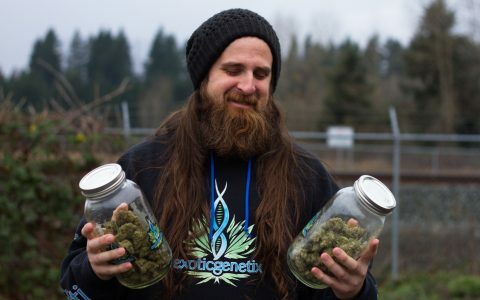 Myrcene opens the blood brain barrier in smaller amounts, without acting sedative. Letting more stimulating THC in. 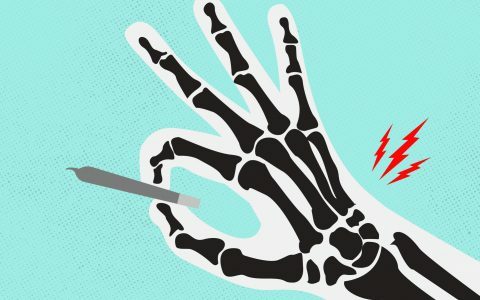 Even when dominant in a strain, not until you hit over 0.5% in strain, that’s when get the “opiate” effect. Limonene is definitely bright, but can let more in your poors and does the opposite of caffeine, so despite it being “sativa” it has interesting effects with other Terps and THC/CBD, more research is needed. Definetly an important area of research, Russo is studying. There is not enough difference between GSC, Moon, and Cookies and Cream to warrant calling them anything but GSC. Looks like some name games to me. Actually, the first three just look like Cookies that have renamed by someone that didn’t want to have a “problem” being caught with hoarded genetics. There is certainly not enough variation in terp profile in the Moon and Cookies and Cream to think they are anything but GSC. Interestingly, the Orange Cookies looks nothing like the Orange Cookies in LA right now, which is limonene-dom with some caryophyllene and virtually no myrcene and smells like pure limonene genetics like the original Tangerine Dream from the northwest. B-Real is having it grown in-house for his Dr Greenthumb dispensary in Sylmar. Actually bought a couple of oz a few days ago. Excellent. 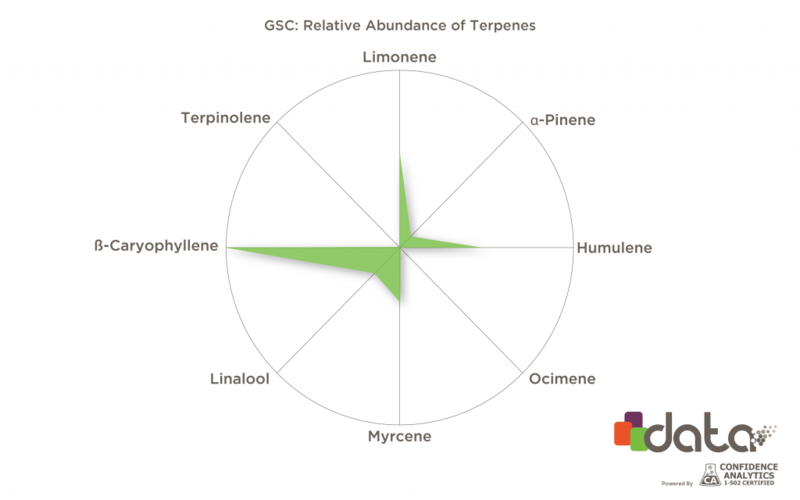 Take all the terpene hype with a little grain of salt, because soon there will be much more clarity on the matter.